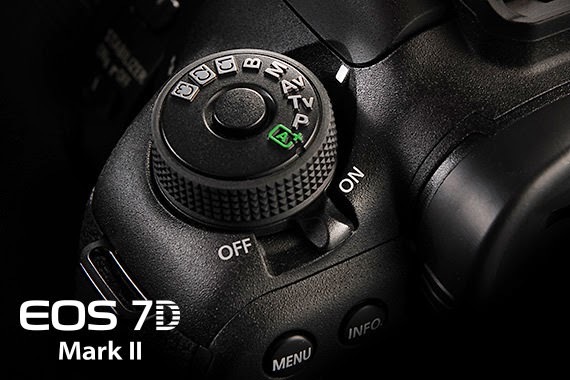 By the way, click here to see how well built the EOS-7D camera can be. 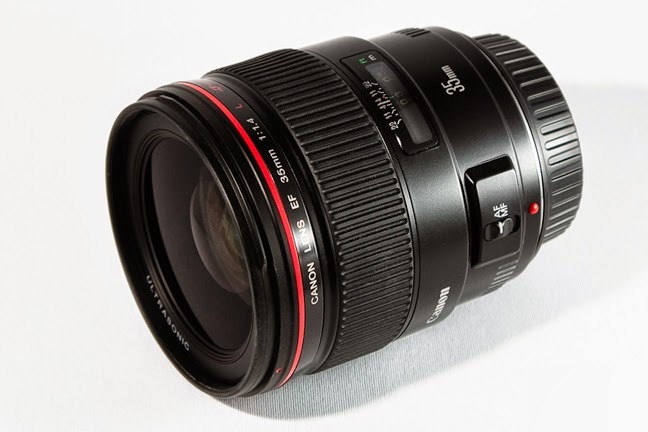 Egami, the Japanese photography blog has discovered a new Canon patent for the EF 35mm f/1.4L II lens. It may come to market around the first quarter of 2015. The Canon PowerShot SX60 was announced on September 15. It is the successor to the high acclaimed SX50 camera. Below is an excerpt of the review from CameraLab. To read the whole article, click here. The Canon PowerShot SX60 HS is the latest bridge super-zoom in the SX series. Launched in September 2014 it replaces the now two year-old (and enormously popular) SX50 HS. With an eye-watering 65x zoom, Canon has once again exceeded expectations and pushed the boundaries of super-zoom range - indeed you have to wonder how long it'll be before we have to start calling these mega-zooms. The SX60 HS extends the SX50's 50x range at both ends, with a 35mm equivalent range of 21-1365mm. This isn't an incremental step up, it's a significant increase that will make a real difference to your picture taking, especially at the wide angle end of the scale. The lens isn't all that's new. The SX60 HS has an updated electronic viewfinder with a resolution of 922k dots, up from the more pedestrian and, for its day, typical 202k EVF of its predecessor. The LCD screen shares the same 922k dot resolution and is again an improvement on the earlier model's 460k dot screen. As before the screen is hinged at the side so can be adjusted to pretty much any angle. At the heart of the PowerShot SX60 HS is Canon's 16.1 Megapixel back-illuminated CMOS sensor, also used in other compacts with the HS suffix. It's paired with Canon's latest Digic 6 processor which endows the new model with, among other things, fast 6.4fps continuous shooting and 1080p60 HD video. The new model retains the Speedlite compatible hot shoe and adds built-in Wifi with NFC so all you need do is tap the SX60 HS with a compatible smartphone to initiate a Wifi connection. 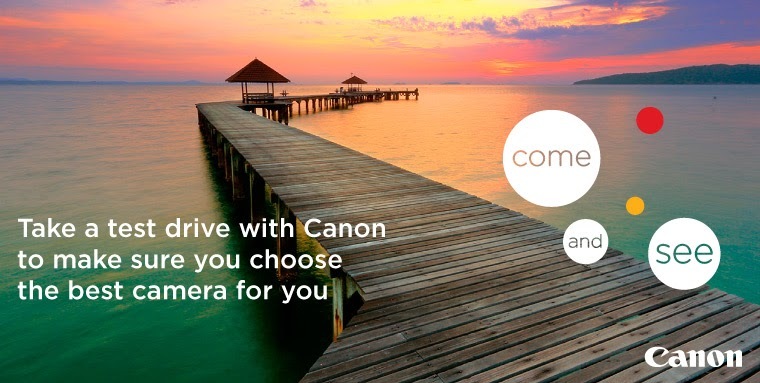 It also includes all the usual Canon compact features like Hybrid Auto, Creative shot mode and Creative effects filters as well as Super Slow Motion video. The SX50 HS and SX40 HS before it were both hugely successful for Canon and they'll be hoping that the SX60 HS is equally popular, but there's plenty of competition in the long range super-zoom market. Though it's now over a year old, the Panasonic FZ70 / FZ72 remains a strong competitor with a 60x range that actually outdoes the SX60 HS with a 20mm equivalent wide angle. Then there's the recently introduced Nikon P600 which also sports a 60x zoom with an equivalent range of 24-1440mm. 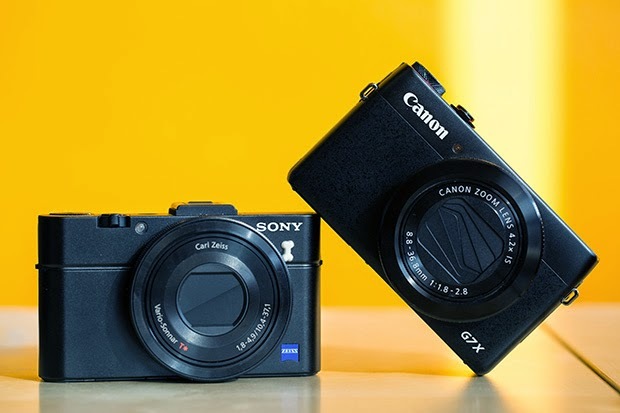 I've compared the PowerShot SX60 HS against both these popular models. Read on to discover which of them is the best of the long range bridge super-zooms. 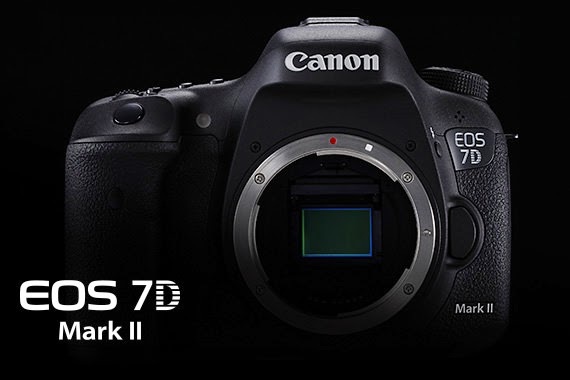 Canon announced their long awaited EOS-7D Mk II camera on September 15 and received very good reviews so far. You can see sample images and videos from Canon Japan, download the Instruction Manual and the Guide Book on how to master the 65 point cross-type AF system, read a field report and see a short film, shot entirely with the new camera. Canon Digital Learning Center presents Alex Buono, Oscar nominee and Director of Photography on his "The Art of Visual Storytelling Tour." In the video below, Alex teaches cinematographers how to create dynamic films with impact. Follow his advice and tips and apply them to your everyday films and projects, with the Cinema EOS or DSLR cameras. 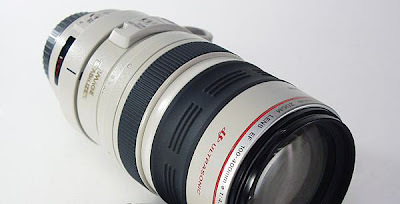 Canon EF 100-400mm f/4.5-5.6L IS II zoom lens? I was expecting the EF 100-400mm f/4.5-5.6L IS II lens to come out around Photokina 2014 but obviously that did not happen. This is my favorite non Super Telephoto zoom 'L' lens but it is desperately in need of an upgrade. You can read my review of this lens here. This lens is showing its age. Released in 1998, it quickly became a staple in my photography bag for wildlife photo shoots. The lens is perfect for mobility and handholding. Although not a fast lens, its versatility and great zoom range more than offset the other shortcomings. The replacement lens has been spotted out in field tests and utilizes a zoom ring, instead of the push/pull design of the current model. The current lens is one of Canon's best selling zooms and there may be plenty of inventory around the world. Some dealers are selling the lens at quite a discount in order to clear out inventory before the official introduction of the Series II lens. As my readers know, I prefer to travel light and handhold my equipment while on photo shoots, if practical. The EF 100-400mm II lens will offer me unmatched mobility and versatility. Cannot wait to get my hands on this replacement lens. Nikon announced their 80-400mm f/4.5-5.6 AF-S zoom lens to great excitement last year. NEW YORK, October 23, 2014 – Canon U.S.A. Inc., a leader in digital imaging solutions, will demonstrate its latest digital camera optics and printer lineup, including the recently announced EOS C100 Mark II Digital Video Camera, at PhotoPlus Expo 2014 in the Jacob K. Javits Convention Center in New York City, October 30 – November 1, 2014 in Booth #121. 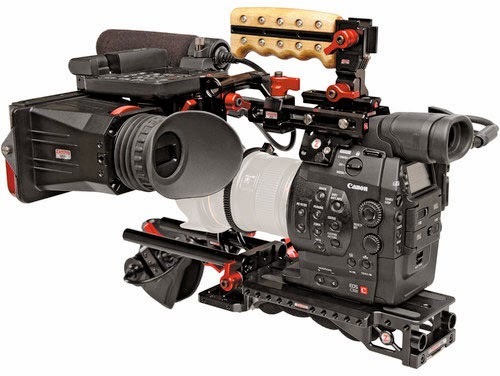 Visitors to the Canon booth will have the opportunity to see the new EOS C100 Mark II, the latest addition to the Company’s Cinema EOS line of professional Super 35mm digital cameras. Additionally, PhotoPlus Expo attendees can try, firsthand, the powerful new EOS 7D Mark II Digital SLR camera, the full line of Canon EOS and Cinema EOS cameras, EF and CN-E lenses, Canon’s professional and consumer camcorders, and the latest in PowerShot cameras including the new PowerShot G7 X. The Company will also be showing its gallery of PIXMA PRO and imagePROGRAF large format professional inkjet prints and will feature stunning images from Canon’s Explorers of Light, as well as live printing demonstrations throughout the show. For the first time at PhotoPlus Expo, the Canon booth will feature images from the Austin, TX, and Seattle, WA, portions of the 2014 PIXMA PRO City Senses Tour. Attendees can experience this interactive image gallery that brings the printed image to life through the senses of touch, taste, smell and sound. The PIXMA PRO City Senses Tour began in 2013 and this year traveled to three new cities — Boston, MA, Austin, TX, and Seattle, WA, with celebrity hosts and photographers Donnie Wahlberg, Michael B. Jordan, and Joel McHale. Canon will continue its Live Learning Stage educational series with a combination of lectures and live photo shoots featuring professional photographers, videographers and Canon Explorers of Light. Professionals such as Scott Kelby, Alex Buono, Peter Read Miller, Adam Jones and Michele Celentano will discuss and demonstrate their personal expertise and share their experience with audiences. The Live Learning Stage presentation series, which is open to all attendees, will take place throughout the duration of PhotoPlus Expo. Canon will also host demonstrations of portrait lighting using Canon’s Speedlite system, time lapse video shooting, 4K video for still-frame output to PIXMA PRO-100 and imagePROGRAF iPF6400 printers, and an EOS 7D Mark II demonstration. Attendees will be treated to stunning images in amazing detail and accurate color courtesy of the REALiS WUX6000 and REALiS WUX400ST LCOS projectors, casting images onto a large 130-inch screen. The demonstration will show how REALiS projectors can help professional photographers showcase their work in a large format to clients in studios and galleries to help them visualize for image selection or entice them to order large-format prints. In addition, a REALiS WUX400ST will be displaying a digital signage application running Canon commercials on a loop, an ideal solution for both advertising and education fields. Canon Professional Services will once again host the CPS Lounge where Gold, Platinum and Cinema CPS members can have their Canon equipment (up to two current Professional DSLR bodies or lenses*) cleaned and checked during Expo hours starting Thursday, October 30th through Saturday, November 1st in Room 2D12. This exclusive lounge area also provides members with a product showcase and the opportunity for Gold, Platinum and Cinema CPS members to have one of their own images printed free, on a PIXMA PRO-1 or PIXMA PRO-100 printer, as well as a free imagePROGRAF Large Format Print (limit one imagePROGRAF and one PIXMA PRO print per qualifying member). A registration kiosk will be available in the CPS Lounge for new and existing members throughout the show. Those who sign up, upgrade, or renew a Gold or Platinum CPS Membership in the CPS Lounge during the show will receive an additional free clean and check coupon to be used at a later date. Canon will also feature technicians directly in the Canon booth, performing CPS customer clean and checks. This area will highlight Canon’s “Support Matters” advertising campaign featuring peer-to-peer testimonials about Canon’s Professional Service and Support from professional photographers and cinematographers. For more information on CPS, visit http://www.cps.usa.canon.com/. For more information on the “Support Matters” campaign visit: pro.usa.canon.com/supportmatters. Follow Canon throughout the show @CanonUSApro. Use #CanonPPE2014 to join the conversation. I have been a wildlife photographer using Canon equipment for 25 years. My camera/lens combo (if restricted to one) of choice is the EOS-1D X camera and EF 24-105mm f/4L IS lens for street / travel photography. For wildlife photography, it is either the EOS-7D Mk II or EOS-1D X camera and EF 200-400mm f/4L IS USM Extender 1.4x lens. Fortunately, in most cases, I am not restricted to one camera and lens combo. You can see my equipment bag and read my recommendation on which Canon lens and camera to buy. In the wildlife photography world, the three most important components, in my opinion, are in the following order : luck, skill and experience, quality of equipment. Luck can be enhanced by increasing the number of wildlife trips one goes on. In the videos below, fashion photographer Lara Jade, Agence France-Presse photojournalist, Alex Ogle, fine art photographer Harold de Puymorin, professional photographer Gary Tyson and Kai from DigitaRev went out on the streets of Hong Kong to see what 'toy' and inexpensive cameras can do in the hands of those who know the art of photography. 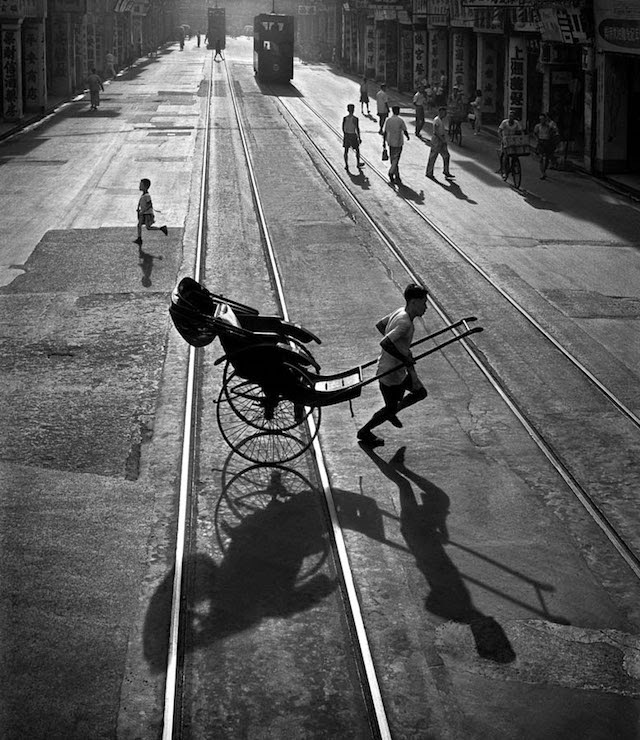 If you are into street photography, one of the best is Fan Ho (no relation to me). Take a look at this post. My readers know I am a wildlife photographer but also do a little travel photography now and then. Recently, I came across the works of Fan Ho (not related to me), an exceptional 'street' photographer with a keen eye on composition and a master of light. Mr. Ho is in his 80s now and his photos deal mostly with street scenes from 'old' Hong Kong. Ted Forbes from The Art Of Photography put together the video below and analyzed the photos and composition of Ho's work through the decades. The last video is a presentation given by Ho to discuss his works. It is a bit long but well worth the while to take a look and learn from the Master. 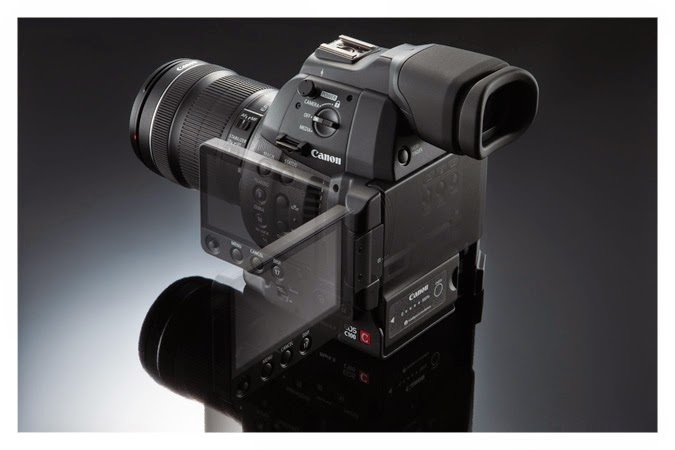 Canon U.S.A. Inc., a leader in digital imaging solutions, announced today the Canon EOS C100 Mark II Digital Video Camera, the latest edition to the Canon Cinema EOS line of professional Super 35mm 8.3 megapixel CMOS cameras and the second-generation version of the popular Canon EOS C100 Digital Video Camera. Optimized for one-person operation, the new EOS C100 Mark II camera has a mobile core design enabling users to choose their preferred style of shooting. The existing design has been enhanced to include a large-size detachable eyecup for the camera’s large 68-degree tilting 0.45-inch 1.23 megapixel color EVF (electronic viewfinder). Clearly marked red trigger buttons on the camera body, top handle, grip, and a built-in mono microphone on the camera body ? for times when the top handle is not attached ? can be used to capture basic sound for audio notation or as an aid to audio syncing during post. Another major redesign of the new EOS C100 Mark II over its predecessor is an innovatively hinged 3.5-inch 1.23 megapixel OLED display panel, delivering 100 percent field-of-view coverage, wide color range support, and improved viewing even in bright sunshine. The new hinge design ? which folds the panel shut when stowed, protecting the OLED surface ? opens 180 degrees to reveal function keys and a joystick. The panel can open even further to 270 degrees to deploy against the side of the camera to provide monitoring for directors and other production personnel. Additional design improvements on the camera body include 17 assignable recessed function buttons, dual SD card slots with a transparent cover, and a simplified battery insertion and removal release. Another important benefit of the Canon DIGIC DV4 processor is Full HD recording in both the high-quality professional format AVCHD or the popular web-friendly MP4 format at a variety of bit rates (up to 28 Mbps and 35 Mbps, respectively), resolutions, and frame rates (up to the smooth look of 59.94p) to suit practically any production need.3 For special-effect requirements, slow and fast motion MP4 recording at up to 1920x1080/60p can also be performed. You just removed a Canon lens equipped with Image Stabilization from the camera and mounted another one. But as you start using the combo, you hear a slight rattling sound coming from inside the lens. You give it a gentle shake and sure enough, something is loose inside. 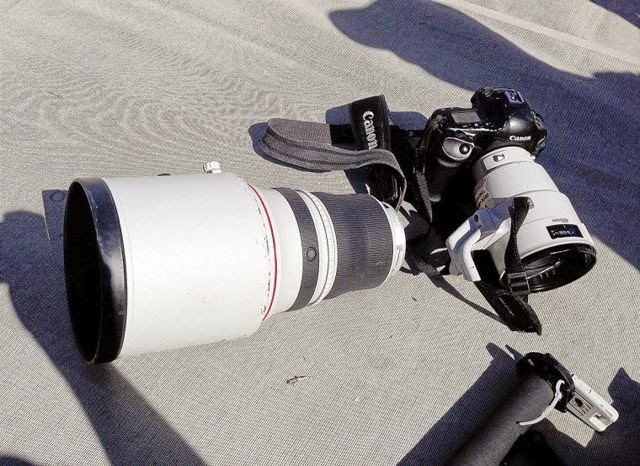 It happened to me with the EF 500mm f/4L IS II Super Telephoto lens out in the field. Is there something wrong with the lens? Should I stop using the lens and call Canon’s Service department? Not necessarily! Let Canon Digital Learning Center explains why. Canon Image Stabilized lenses perform their “magic” by having a group of lens elements that are held together and can be very precisely moved up, down, left or right. With most (but not all) IS lenses, a device called a “coil” (not a coil spring!) holds these elements and responds almost instantly with these tightly-controlled movements to commands from the IS detection sensors and circuits in the lens. It’s this ability to move these lens elements — in direct response to any detected camera movement — that allows the optical image stabilization within a Canon IS lens. When IS is not active in the lens, these correction elements need to be held in a centered position, to allow best optical quality when shake-correction is not needed. Normally, when you use IS, it’s activated along with the camera’s light meter when you press the shutter button half-way down and a few seconds after you remove your finger from the shutter button, you’ll often hear a soft “click” coming from the lens, as the IS system locks the moveable elements in the coil in a centered position. You can think of this as a “parked” state for these moving correction elements. During typical operation, when the camera’s meter system turns off, the IS system is signaled by the camera to lock and center the correction elements and using power from the camera, the IS system performs this task. If you were to remove the lens at this point, you’d hear no noises from the IS correction elements because they’re physically locked in that centered, “parked” position. So why is there sometimes a rattling sound? If you were to physically remove a lens from the camera body immediately after you shoot a picture, with the IS still active, the correction elements are still in a free state and ready to move in any direction as commanded by the IS detection system. But as you twist the lens to remove it from the lens mount, power from the camera suddenly stops. If this happens, the IS correction optics have not been locked and centered and are loosely contained by the coil which holds them. They can and will bump into surrounding mechanisms within the lens barrel if you, for instance, were to move or shake the lens deliberately — and this is exactly the rattling you hear. Nothing is wrong with the lens and under normal circumstances, this won’t damage anything (obviously, it’s not the recommended state to store the lens in long-term!). All that’s happened is that IS did not get the chance to turn itself off normally and, thus, the correction group of elements are not physically locked in their normal, centered position. Don’t panic if you hear this soft rattling sound in the lens; it’s easy to correct. All that’s needed is to re-mount the lens, turn the camera on, and then tap the shutter button halfway down to start Image Stabilization again. Now, just remove your finger from the shutter button, wait a few seconds for the camera’s meter to turn off automatically (IS simultaneously turns off), and you’ll hear the IS system lock and center the elements with a familiar soft “click” sound within the lens. Now, remove the lens normally and, assuming the lens is otherwise in proper operating condition, you won’t hear the rattle any more! Avoiding this problem with certain IS lenses is simple: just wait for the IS system to lock and center the elements before you remove a lens from the camera body. Normally, this happens six seconds after you remove your finger from the shutter button (if you haven’t just taken a picture) or two seconds after taking the most recent picture. Turning the camera OFF via its main On-Off switch will also allow the IS system to properly “park” the correction optics. Will this happen with my IS lens(es)? Canon has utilized different Image Stabilization mechanisms within the range of IS lenses that have been produced since the first IS lens (the EF 75–300mm f/4–5.6 IS lens, which was introduced in 1995). 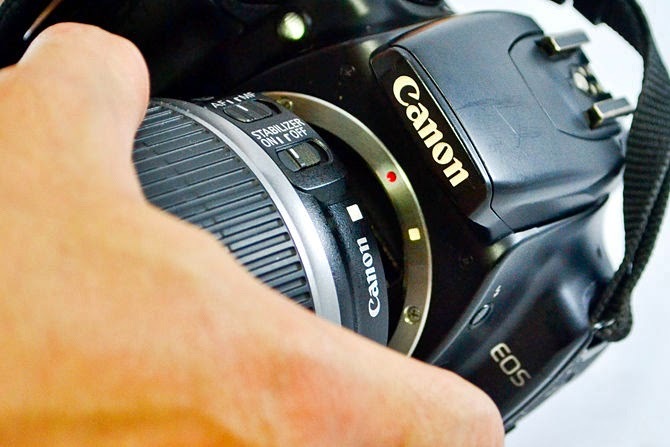 The majority of Canon IS lenses use the type of IS mechanism described in this article and are susceptible to the correction elements not being properly “parked” if the lens is removed improperly. Some recent IS lenses use a slightly different mechanism, which in non-technical terms automatically returns the correction elements to a centered position, regardless of how power to the IS system is halted. 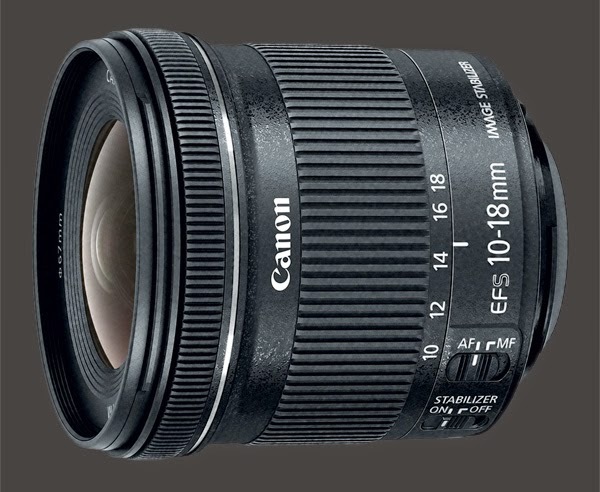 Thus, lenses like the popular EF-S 18-55mm f/3.5–5.6 IS USM and similar recent lenses don’t go through the same lock-and-center process as IS is deactivated and are not susceptible to having loose correction elements rattle inside a lens. 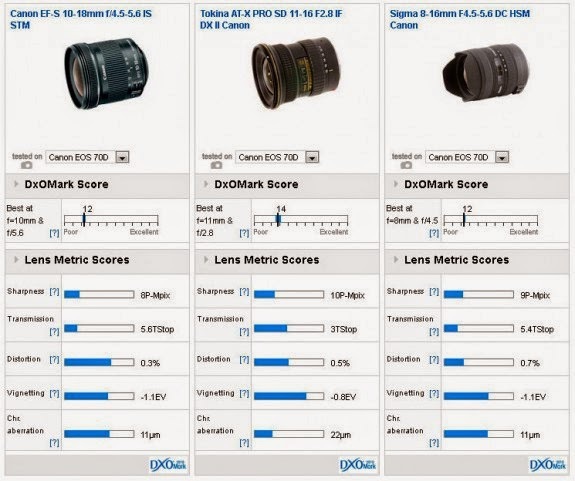 Of course, there are now third party and independently produced lenses that can be used on Canon EOS cameras, which have optical-type shake-correction as well. We cannot speak to their operation, nor whether they may be susceptible to any specific issues if attachment or removal procedures aren’t precisely followed – consult the instructions of any third-party stabilized lens or contact the manufacturer, if you have questions or concerns. It’s natural to be concerned if a lens that had been operating perfectly suddenly sounds like something is very loose and rattling around inside the lens. 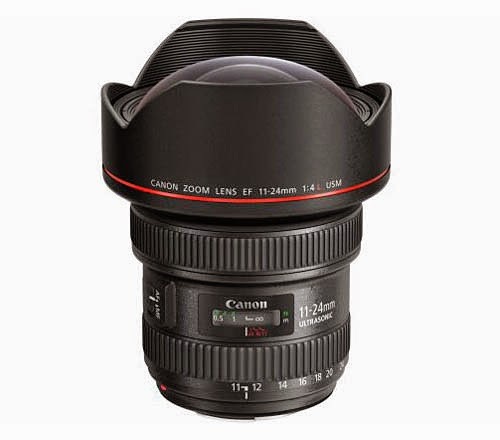 While in theory, a lens with a physical defect can certainly exhibit the same traits, try the procedure described directly above and see if that doesn’t correct the issue before concluding that any Canon-brand Image Stabilized lens is defective. In most cases, it’s not a defect at all, but a natural characteristic of Canon IS lenses that happened to be removed too quickly from the camera. 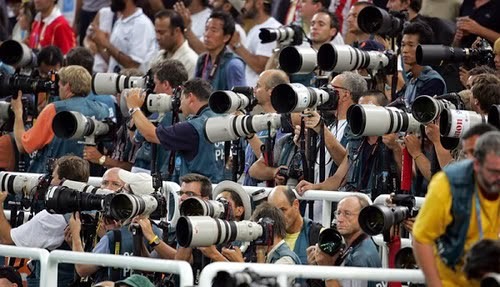 Many people have seen Canon cameras and the ubiquitous white lens during football games. 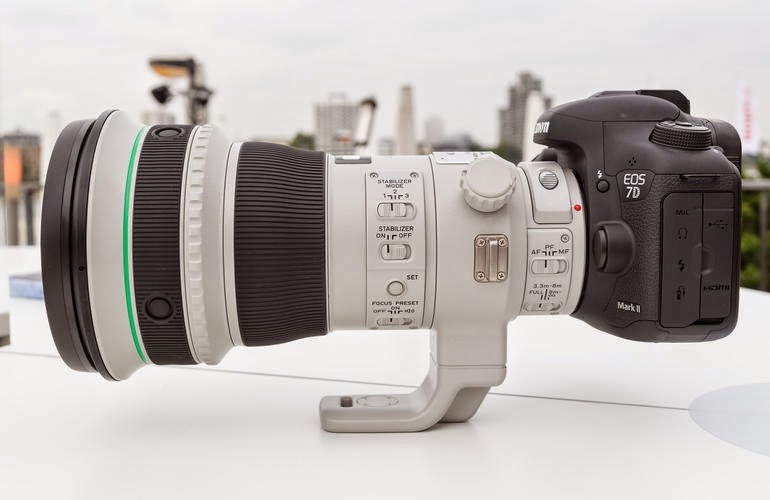 The Canon EOS-1D X camera and the Super Telephoto lens are generally very rugged and stand up to field use but not able to withstand a football player's crushing weight. That is what happened during the Kansas City vs. Oklahoma game when the wide receiver fell on the camera combo while trying to make a catch at the back of the end zone. The player is fine but the equipment is severely damaged. Apple announced the new iPhone 6 and iPhone 6 Plus last month. Both phones have a much improved camera and software plus a retina screen display, with a resolution of 1334 x 750 for the former and a resolution of 1920 x 1080 for the latter. Take a look at the DigitalRev video review of the two phones above. Canon and other camera manufacturers have been losing sales (particularly in the low end) in the last few years. Part of the reason is the much higher quality cameras found in high end smartphones. Some people have decided the photos taken with their smartphones is good enough and the new iPhone 6 will go even further to reinforce that point. Certainly Canon is concerned about the competition from Apple and Samsung's high end phones but my own feeling is their apprehension is misplaced. I believe those who will trade a high end PowerShot camera for a high end smartphone with camera to take photos are mostly interested in convenience first. Those who are passionate about photography, like yours truly, will own and generally carry both. There may be some overlap between the two groups but by and large, I think they are mostly mutually exclusive. The best way for Canon and other camera manufacturers to stay competitive is to keep producing high quality, innovative photographic products, like the EOS-7D Mk II camera and cut down on some of the fluff and marketing glitz. Photographers will respond to genuine improvement and not same old technology, wrapped in new camera and lens housing. Amazon.com has changed the camera's release date to October 30 from November 28, 2014. If true, that would be very good news because I have ordered the EF 400mm f/4 DO IS II lens and camera and am very anxious to take them on a Polar bear photo shoot in Hudson Bay in November and give it a thorough field test and write a review on the gear, provided I receive the equipment in time before my departure. 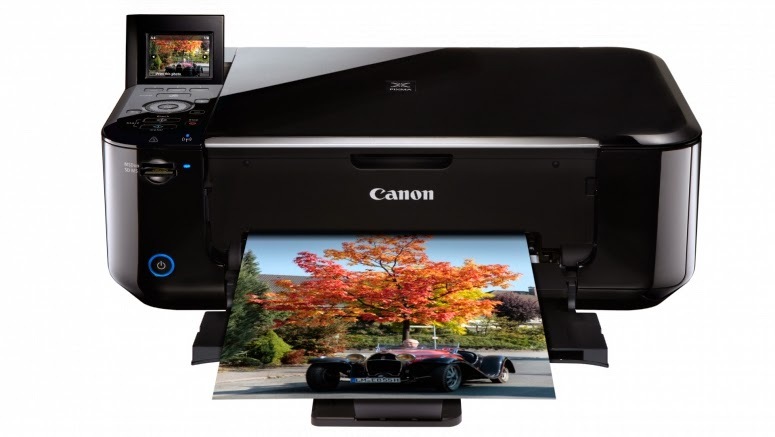 Canon started a campaign to increase sales of their printer line. The videos below are short and rather humorous and reinforce the tagline "Sometimes it's better to print"
The CN20x 50 IAS H E1/P1 features a removable servo drive unit and also supports 12-pin serial communication. You can see a Canon video of the lens here. The front diameter of the CN20x 50 IAS H E1/P1 lens is ?136mm and it is colour-matched for easy integration with results from all Canon EF Cinema lenses. Re-installation of the servo drive unit is quick and simple, with no adjustment of gear positions required. The lens’ front diameter is ?136mm and it’s also colour-matched for easy integration with results from all Canon EF Cinema lenses. 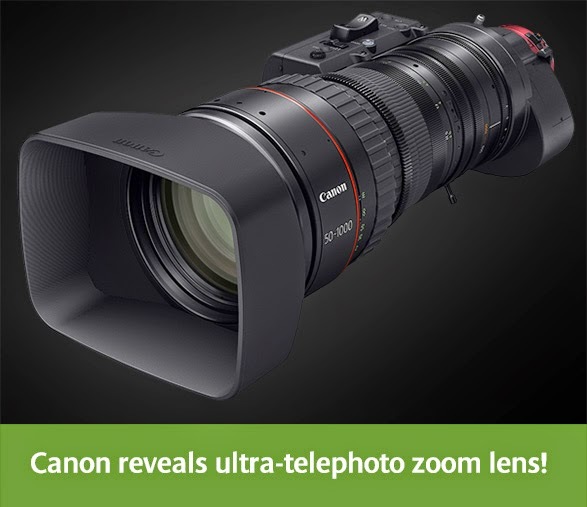 Canon’s renowned optical lens quality combines with support for industry-standard accessories, including matte boxes and 0.8- and 0.5-type gear module accessories such as follow focus units, to provide a truly versatile solution. We know that choosing a camera to buy can be quite daunting with lots of cameras to choose from. Let us help you discover the best camera for your next adventure, occasion or event by taking a Canon camera for a FREE Test Drive at your nearest store. Just by answering a few simple questions our Canon Expert will help you discover the best camera to suit your needs and then show you how to use it to get your best photo! Book now. The Japanese photography blog, Egami has discovered a patent filed by Canon for a variable diffusion focusing screen. The technology in the patent highlights sharp areas and helps to determine the depth of field. "This lens isn’t a replacement for the existing, near pro-level EF-S 10-22mm f3.5-4.5 USM; it doesn’t match the range, speed (or build-quality) but with a similar optical performance, lower price and quiet STM AF motor this lens certainly has its place in Canon’s line-up. Knowing it will appeal to both stills and budding moviemakers it’s likely to be a popular addition, but it doesn’t really plug any holes in the maker’s range." There is a top-rated merchant on eBay selling the Canon EOS-1D X camera for $5,199 including a 3 year USA warranty and free shipping. Hurry, it won't last. This is an excellent deal and my pick as the best full frame DSLR camera two years in a row. I have recently returned from South Africa, photographing the Big Five and other wildlife with this camera. 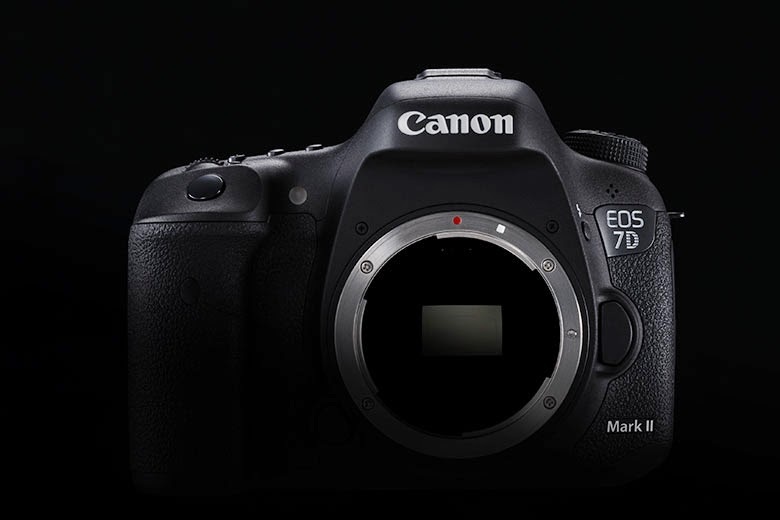 Canon announced the long awaited EOS-7D Mk II camera on September 15 with a list price of $1,799. 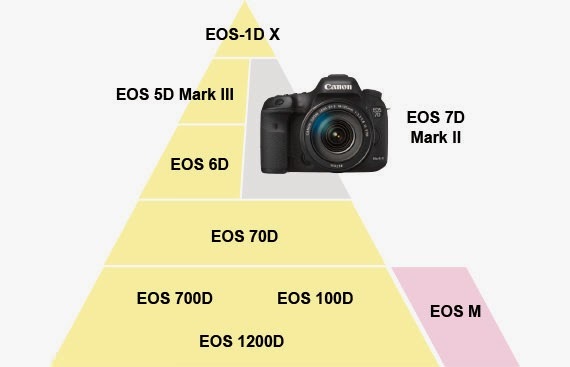 As you can see from the pyramid above, the new camera is lumped into the section with the EOS-5D Mk III and EOS-6D. Both cameras will be getting an upgrade next year. The current list price of the 5D and 6D bodies are $3,399 and $1,899 respectively. Last year, I wrote a post commenting on how Canon is pricing their higher end cameras too low by putting too many advanced features on them. Now that the EOS-7D Mk II has been introduced at a price point so close to the EOS-6D, there will be room for the Mk II version to be priced above $2,000 next year. The two cameras are fundamentally different and appeal to separate segments of photographers. To me, the EOS-6D is Canon's way of luring anyone who is interested in getting into full frame photography at a very low price. I doubt they are making much money on this model. My philosophy on photographic equipment has always been to go for value and not low price. I define value as the best combination of performance, quality and price while a low price is usually achieved by providing the bare minimum quality and features. The next EOS-6D Mk II may go upmarket but still be priced comfortably below the EOS-5D Mk IV by about $1,500. Canon USA posted a short film shot entirely with the new EOS-7D Mk II camera and a few EF and EF-S lenses. The EOS-7D Mk II camera was announced on September 15, about 5 years after the release of the Mk I model. The new camera is receiving raved reviews but delivery is not expected until early November. My readers know I have picked the original EOS-7D as the best APS-C cameras four years in a row. Canon announced the EOS-7D Mk II camera on September 15, about 5 years after the release of the Mk I model. The new camera is receiving raved reviews but delivery is not expected until early November. My readers know I have picked the original EOS-7D as the best APS-C cameras four years in a row. My order is in and when the new camera arrives, I will go on a few real world wildlife photo shoots and write a review on it. As a wildlife photographer, I like to get the maximum focal length with the fastest lens speed. This is always a compromise because once an extender is added, the aperture gets smaller. Alternatively, a long lens like the EF 800mm f/5.6L IS is heavy and cumbersome. 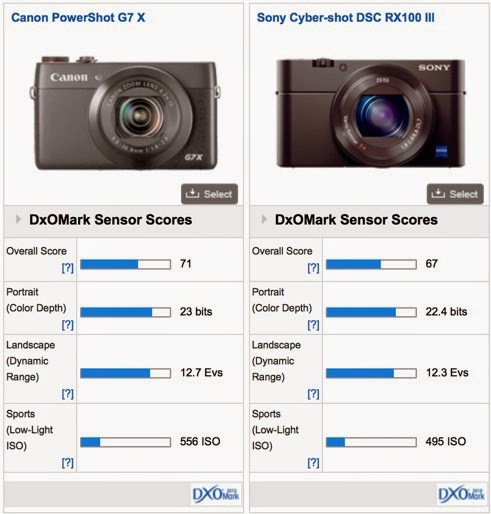 That's why I prefer cropped frame cameras like the EOS-1D Mk IV and EOS-7D Mk II. Two of the most appealing features of the new Mk II are 10 fps burst rate and the ability to autofocus down to f/8. Unfortunately, the EOS-1D Mk IV has been retired but fortunately, the EOS-7D Mk II has the same two features I use most. Now I can use the EF 400mm f/4 DO IS II and EF 200-400mm f/4L IS USM 1.4x Extender lenses and have maximum reach and AF at the same time. Canon may be ready to announce the development of their megapixel camera some time late this year and perhaps release the camera the first half of 2015. Ever since the retirement of the EOS-1Ds Mk III, they are left without a professional grade, megapixel full frame camera and Nikon has been stealing their thunder with their 36MP D800 and D810 bodies ever since. There are still discussion inside Canon as to which body style the new camera should take. My suspicion and preference is to introduce it under the EOS-1 body first and then come out with a little brother version, say the EOS-3D or a Cinema EOS version with 4K video capability. Canon needs a professional, big megapixel camera to boast about and retake the crown from Nikon. There are a few versions of sensors, including multi layer, they are working on, ranging from the high 30s to low 50MP. Canon has been learning lessons on how to price high megapixel cameras from Nikon and Sony. Unlike the EOS-1Ds Mk III, which cost $8000 and subsequently made 'obsolete' by the much cheaper EOS-5D Mk III, the new megapixel camera will most likely be priced in the $5000 range. 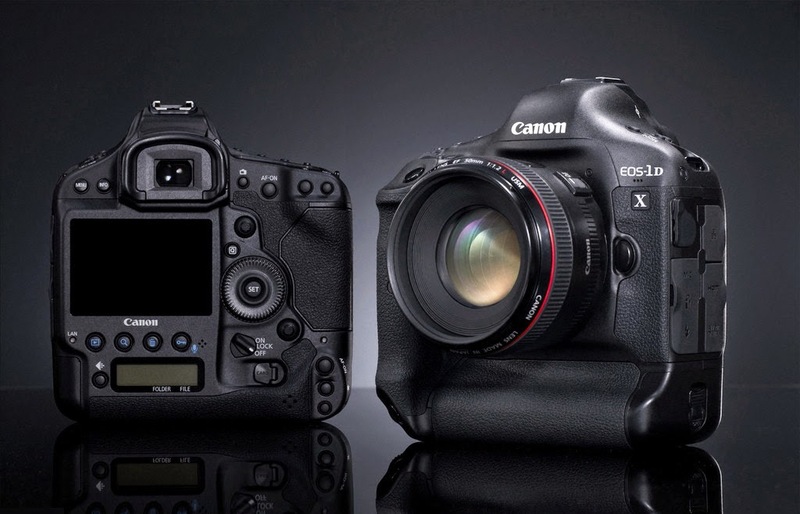 Before Canon can make any big megapixel camera announcement, first they have to decide when to launch the EOS-1D X Mk II and EOS-5D Mk IV cameras some time in 2015. Keep checking back for the latest news and development. Canon announced the PowerShot G7 X camera on September 15. It comes with a 1 inch 20 MP High-Sensitivity CMOS sensor powered by the DIGIC 6 Image Processor. 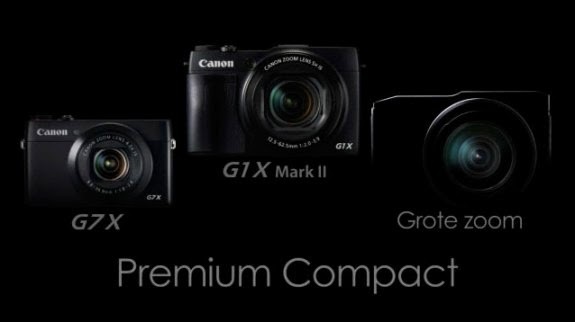 This will be followed by more PowerShots models, like the G1 X Mk II, equipped with large sensors down the road. You can see sample photos and read a first impression review of the Canon PowerShot G7 X here. 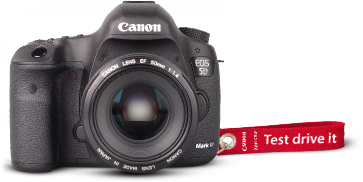 There is no secret Canon has been working hard on a multi layer sensor for some time now and they may be ready to introduce it on their next, top of the line, EOS-1 series camera, perhaps in late 2014 or in the first half of 2015. At this point, it is not clear whether Canon intends to use the multi layer sensor technology on their upcoming megapixel camera or the EOS-1D X Mk II or both. Keep checking back for the latest info and development. In recent years, there is no secret high end smartphones, like the newly introduced Apple iPhone 6 with their ever improving, built-in camera, are taking some business away from camera manufacturers. Yesterday, Canon launched a new advertising campaign called “See Impossible” to shift the marketing focus away from products and onto customers’ stories. Canon’s campaign evolves around a new website that contains a series of videos highlighting how customers are using a whole range of Canon products in their daily lives. A short clip shows how an author used the technology to self-publish her book. In the future, additional content will include stories and testimonials from real life consumers. I am a wildlife photographer using Canon equipment for 25 years and also own the iPhone 6. To me, the camera on my phone is a convenience, the camera in my hands is a high precision tool. I won't trade one for the other because they both have their place in my life. Of course there are people who don't share my view but many do and keeping one's core and loyal customers is always a good start for any business. Last year, I made some observations and comments for my friends in Japan. My feeling is Canon is listening and will be changing for the better, hopefully.